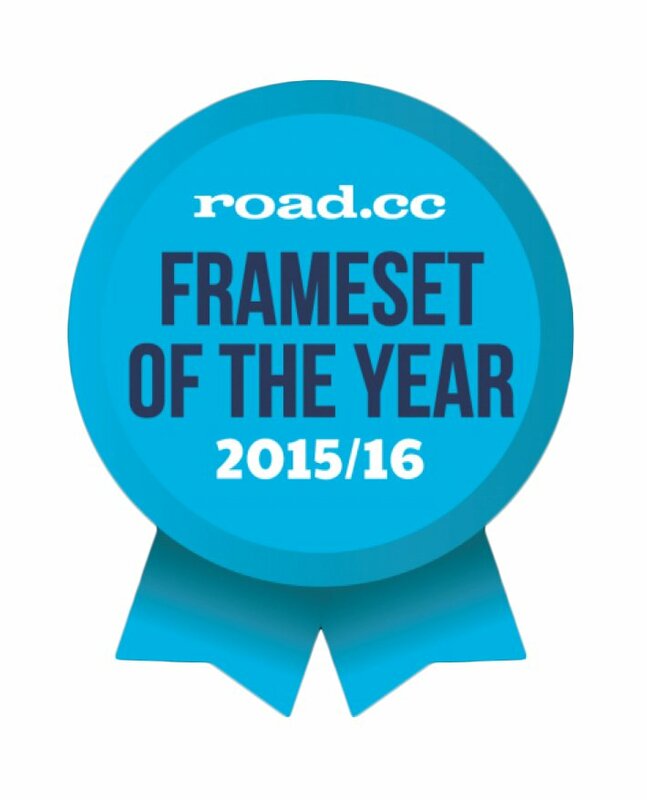 We developed the original Resolution frameset in 2014 and have updated it ever since. The latest, Flat-Mount/Thru-Axle version that you see here is the culmination of almost 2 years work with the maker in Italy and BEAR in the UK. The result is a thoroughly modern, Multi-Surface, Continent Crushing, Ultra-Endurance, Se4son, adventure machine. Capable of keeping you fresh and engaged whilst crossing a country or delivering you swiftly home at the front of the club run. MultiPort internal cable routing, the latest standards in braking and wheel-retention, disc brake specific, suitable for large volume tyres mudguards and rack. Choose the steel Resolution for ultimate comfort over distance and that certain ride quality. Why steel? Read more here. Our Resolution2 frame set is a real first. A combination of forward thinking technology, the best materials and hand-crafted excellence in construction that truly set it apart from any other brand. We have worked with BEAR to produce a very special set of dropouts that are exclusive to Mason and that have not only managed to keep the legendary refinement, lateral rigidity and ride-quality but have added to it and introduced our Thru-Axle system and neat new features too! Our own MultiPort adaptable, internal cable routing system is unique for a frame of this type. Developed by us to allow your Mason frame to be used with a combination of control systems and adapt and evolve with your requirements and riding styles. We were the first to bring this type of system to a performance steel frame. We've also re-positioned the brake hose mounts to align exactly with new Flat-Mount standards and added a neat, reinforced Di2 wire exit on the drive-side chainstay. Read more about MultiPort here. Every tube on this frame has been hand picked to give a performance advantage. The ovalised and facetted Spirit top tube, the oversize 'D section' Spirit down tube, our custom bend, hourglass profile seat stays, the oversize seat tube, and the modern taper head tube with stainless bearing seats takes our own, taper-steerer 'Aperture2' full carbon Thru-axle / Flat-mount fork. Combining these tubes with modern componentry and Mason 'Progressive' geometry is the formula for something very special. All eyelets on frame and fork are hidden out of the way where possible, so this adaptable frameset hides its multi-purpose capabilities until you are ready to bolt on the wet weather or luggage carrying gear. While working on the new drop-outs, we have also removed the rack-mounts from the rear of the dropouts and integrated them neatly into the CNC machined design of the dropout. Minimal, discrete, functional and extremely tough. For the bottom bracket, we choose a 68mm, BSA, threaded standard for our 4Season frames because we believe it gives greater durability and creak-free reliability over many miles. The threaded BB is easier to service using standard tools and you are more likely to find a replacement when adventuring far from home. All this, backed up by award-winning heritage and exemplary Mason Cycles customer service. Exclusive, UK designed MASON X BEAR Thru-Axle/Flat-Mount dropouts. New SwitchLever, adaptable rear Thru-Axle with removable tensioning lever. Beautifully machined Aluminium hanger locks accurately into the inside of the dropout using a single stainless screw. Thru-Axle is secured using a replaceable, stainless end-cap. Re-designed, Flat-Mount Specific hose routing. Refined, repositioned and beautifully reinforced Di2 wire exits. Fully relieved internals for battery and cable routing. Reinforced downtube eyelets, provide secure, large-volume bottle mounting for multi-surface high mileage. Deda Headset. Expander-bung + Top-cap for fork. M∆SON Macro clamp. Marine Grade Stainless bolts x 12. M∆SON 3D printed Structural Nylon BB guide inc screws. M∆SON 3D printed Structural Nylon mudguard mounts for fork x 2. Cable liner for front mech. Foam tubing for internal routing. Di2 rubber grommet 45º x 3. Rubber blanking grommet x 2. Resolution only: P-Clips x 2 for running rear-mech cable down drive-side seat-stay.